Following a somewhat limited roll-out earlier this month, Feedly is opening up the Pro version of its Google Reader replacement service to all of its users starting today. By opting for a $5 per month or $45 annual subscription, Feedly enthusiasts can now access premium features such as article search, one-click saving to Evernote and prioritized customer support. The free version of Feedly has also been improved, with secure browsing through HTTPS and one-click saving to the ‘read it later’ app Pocket – two features that were previously for Pro users only. “This is an important milestone for Feedly because a more sustainable company will lead to more innovation for users of both Feedly Pro and Feedly standard,” the firm said. 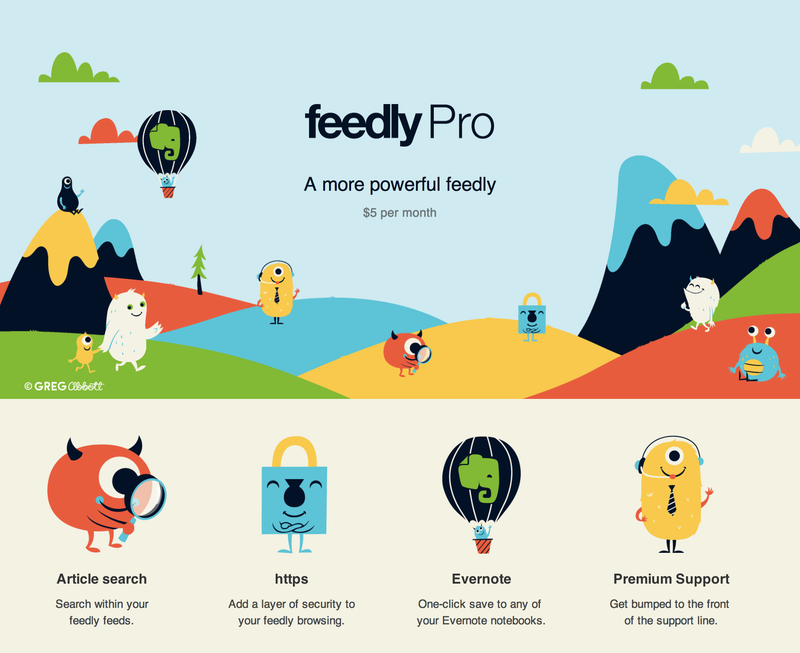 Feedly Pro was unveiled on August 5 alongside a ‘lifetime limited edition’ that offered the first 5,000 backers lifetime access to the service for a single $99 payment. Feedly has promised that new pro features will be added fairly regularly, and that premium users will be able to vote on which features are developed next. Feedly is but one news curation service looking to fill the gap left by Google Reader. Digg is arguably its closest rival, although AOL, Hootsuite and NetNewsWire are also offering their own dedicated services.